HAPPY BIRTHDAY PORTSMOUTH MUSIC HUB! On Wednesday 7 November, to mark its seventh anniversary, Portsmouth Music Hub has held a special concert at Craneswater Junior School in Portsmouth. Hundreds of children enjoyed a performance from the University of Portsmouth Wind Band. The musicians delighted the young audience with a medley of songs from Disney's popular film Moana, plus there was music from Mamma Mia, Star Wars and Harry Potter. 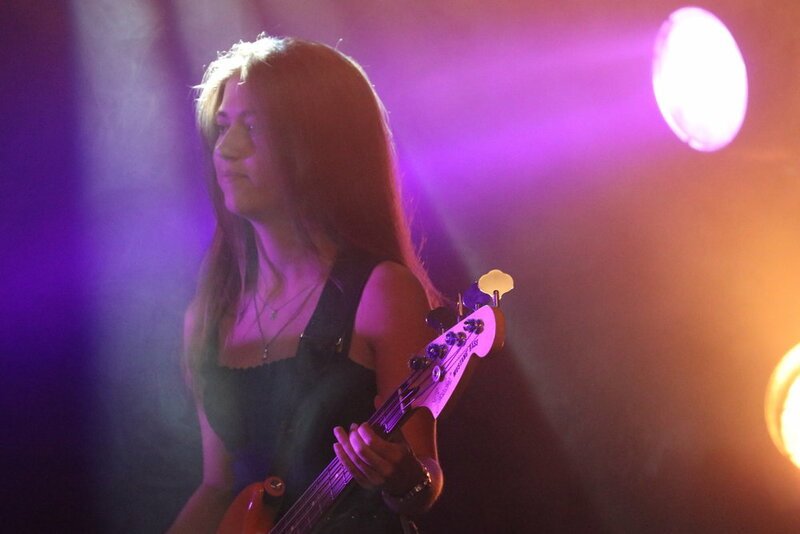 Portsmouth Music Hub was established in 2011 as part of the National Plan for Music Education. It was the first national Hub, and has been committed to offering every child in Portsmouth the chance to play a musical instrument, to sing and to develop a passion for music. To provide creative opportunities for children and young people the Hub has enlisted the support of more than 50 organisations, including from the Bournemouth Symphony Orchestra, Portsmouth University and The Royal Marines Band Service. The concert at Craneswater Junior School was both an anniversary celebration and example of the collaboration between the Music Hub, its partners and schools. Sue Beckett, CEO of Portsmouth Music Hub said: "Since 2011 the Music Hub has organised hundreds of events, workshops, conferences and guaranteed that every child, no matter what their background, has the opportunity to be part of our city's cultural life. In the past seven years we've held cultural carnivals, developed our Live Music Portsmouth campaign, used music to teach CPR, and given thousands of children the chance to perform in our choirs, ensembles and bands. Currently we're delivering a campaign that harnesses the power of music to deliver important environmental messages. 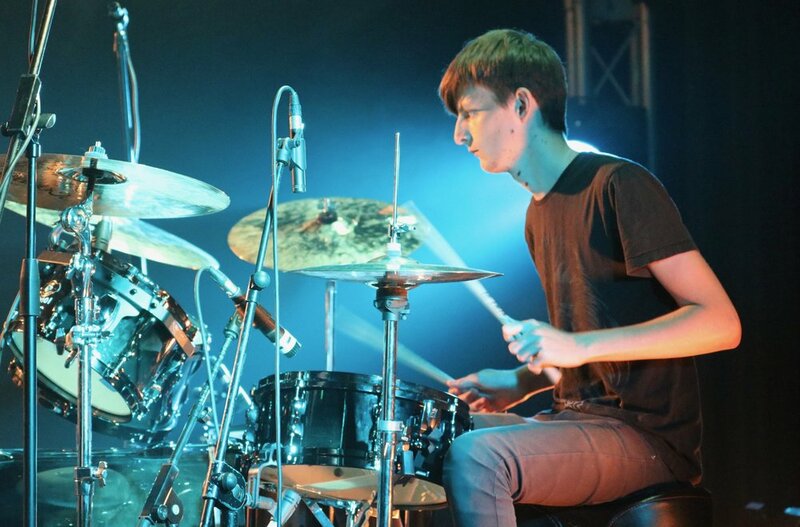 The future for Portsmouth Music Hub is a bright one." The Live Music Portsmouth campaign continues to go from strength to strength, and last week the campaign took to the road, visiting schools across the city to give hundreds of children and young people the opportunity to experience and enjoy music and music-making. As part of the Live Music Portsmouth campaign 24 primary and secondary schools and more than 500 children have been participating in the Portsmouth Schools Ceilidh programme. The aim of the programme is to raise children's awareness and appreciation of British traditional dance and to give young musicians the chance to perform alongside a professional ceilidh band. The week of dance was organised by Portsmouth Music Hub and has been offered free to city schools. Sue Beckett, the Chief Executive of the Hub said: "We've been running the Ceilidh week for the past five years, and this year we've had children performing as part of the band while their classmates danced; it's been really encouraging to see so many children dancing and playing in the band. Seeing so much enthusiasm, participation and lots of smiles and laughter proves that the Portsmouth Live Music campaign is making a cultural difference to our city." Portsmouth Music Hub has been praised for its commitment to promoting environmental awareness by the national charity One World Week. The charity encourages people to take action to build a just, more equal, inclusive and peaceful world that safeguards environmental resources for future generations. In the lead up to One World Week, which takes place from 21 - 28 October, the charity said: "Portsmouth Music Hub launched its One World campaign recently with a great song which 1500 children sang on the Guildhall steps in Portsmouth"
The charity continued: "We all have to keep reminding ourselves that we’re not doing enough to protect our world. We have 7.2 billion people on a planet with limited resources yet we throw things away without a thought, we ignore the costs to people and the environment of producing them and we never worry about supplies running out for future generations. The BBC were in Portsmouth on Friday 28 September to film 1500 local children singing about the environment for BBC Music Day. This was Portsmouth's contribution to the BBC's national celebration of music that takes place all over country. The children, aged 6 - 16, performed the 'One World' anthem on the Guildhall steps for the BBC cameras. The song, created by Portsmouth Music Hub's award-winning team of composers, reminds us all that we have to take care of our planet, and that changes we make to the way we live our lives can have a huge impact on the environment. 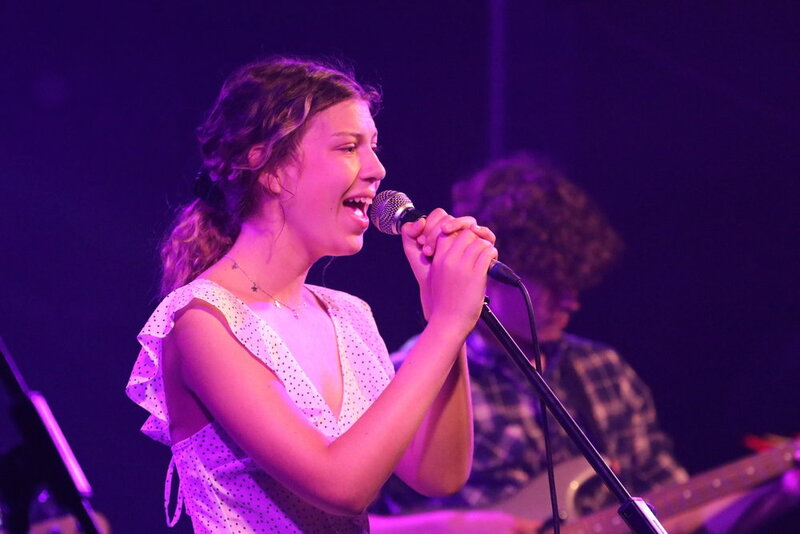 Portsmouth Music Hub's recently launched environmental campaign will hold events throughout the year, including art and poetry competitions, special drama productions in schools, social media campaigns and in June there will be major concert at the Guildhall, with performances from local children to celebrate World Environment Day 2019. Sue Beckett, Chief Executive of Portsmouth Music Hub, who led the children's choir, said: "The children have had an amazing experience and we've all been excited to be part of the BBC's Music Day. We're really pleased that the BBC decided to be part of our special event and to film the children performing our One World anthem, it really has helped us to communicate our important environmental message, that the children of Portsmouth will change our world one song at a time." "I know the impact music can have on all our lives. It doesn't matter who we are or where we come from, we can all create, compose and enjoy great music. As Chair of Youth Music I've seen at first hand the power of music to inspire confidence, self-respect and a passion for creativity that will last a lifetime. After the concert inside the Guildhall YolanDa and her band performed with the children on the Guildhall steps, all of them singing Portsmouth Music Hub's 'One World' song for the BBC cameras. 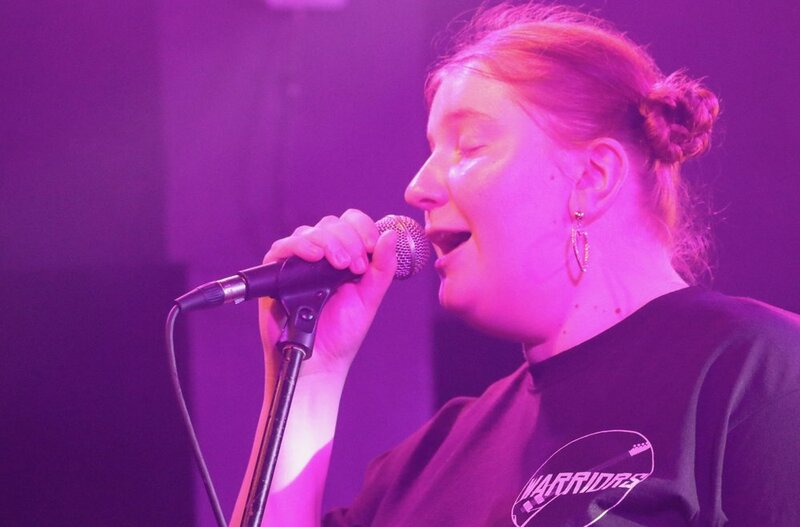 YolanDa went on to say: "Portsmouth Music Hub shares a commitment to give every child, no matter what their personal background, the opportunity to learn, create and achieve, and they encourage every child to believe in themselves. Music Hubs around the country share that dedication and it's a privilege and a pleasure to be making my contribution to inspirational music and culture in Portsmouth. BBC Music Day is a day of talent, creativity and inspiration, and it reminds us all that music has the power to change our communities and the world." Southsea beach had a surprise spruce up on Friday (14 September) when the Lord Mayor of Portsmouth joined hundreds of local children for a very special beach clean. 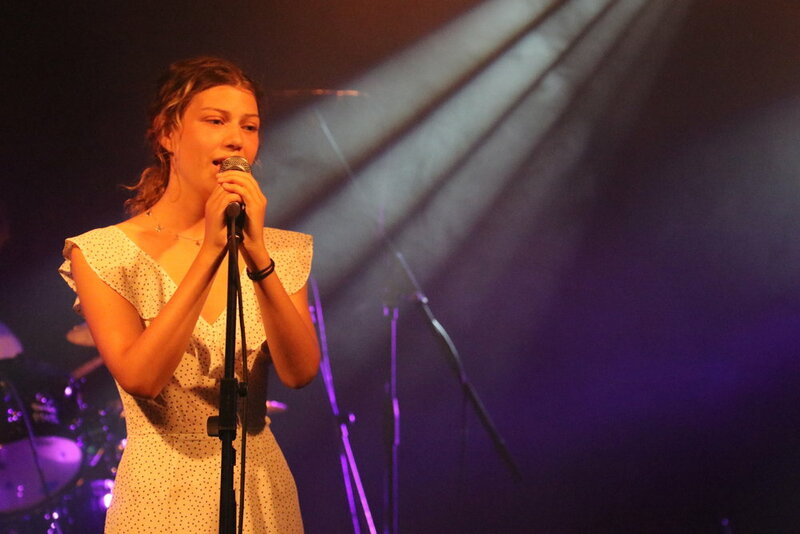 The event marked the launch of Portsmouth Music Hub's 'One World' campaign. 'One World' brings together musicians, composers, performers, dancers, teachers and thousands of children in a year-long festival focussing on the environment and how we can make our planet a cleaner, safer and more sustainable home for future generations and the animals who share our world. 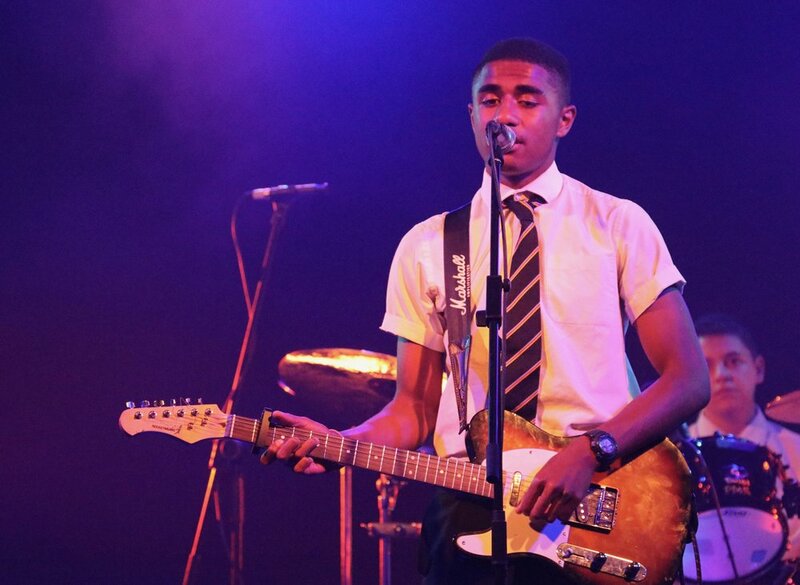 During the year the Music Hub will take music and drama into schools, hold art and poetry competitions and launch a special social media campaign. The year of events will finish on World Environment Day, with a major concert at the Guildhall in Portsmouth on 5 June 2019. Sue Beckett, Chief Executive of Portsmouth Music Hub said: "Our aims for the One World campaign are two-fold; first of all we want to highlight some of the environmental issues that have an impact on our city, secondly by harnessing the power and impact of music and the arts we're encouraging the next generation of adults to fully embrace life-long environmental principles. Our 'One World' songbook has been composed to inspire children and young people to get involved and take practical action to save the world around them." At the official launch on Friday at Southsea beach children from nearby schools sang three original songs from the Music Hub's newly composed songbook 'One World'. Fittingly the children sang 'Pollution Revolution', 'Tidy Up the Beach' and 'Nurdles' (the infamous small pellet of plastic that infests our seas). With 17 original songs the songbook, available to schools across the country, aims to change the world one song at a time with music about a whole host of issues including blue whales, plastics, bees and chlorofluorocarbons! Sarina, aged 8, from Cottage Grove Primary School said: "I really enjoyed the singing and I'm very excited about picking up litter!" Portsmouth Music Hub have received enthusiastic support for the One World campaign from the teaching community, Portsmouth City Council, Environmental groups and on 28 September the BBC will be filming 1500 young singers from Portsmouth performing the 'One World Song' as part of BBC Music Day. The Lord Mayor of Portsmouth, Councillor Lee Mason, who helped with the beach clean said: "We all have a responsibility to preserve and protect our environment, and as Portsmouth is a coastal city the safeguarding of our environment has real resonance. Small changes to the way we live our daily lives can have a positive effect on our planet, whether that's by recycling, taking our rubbish home or by simply switching off a light when it's not in use. This is why I'm delighted to be supporting Portsmouth Music Hub's 'One World' campaign, which will stimulate and encourage us all to protect our city and our planet." 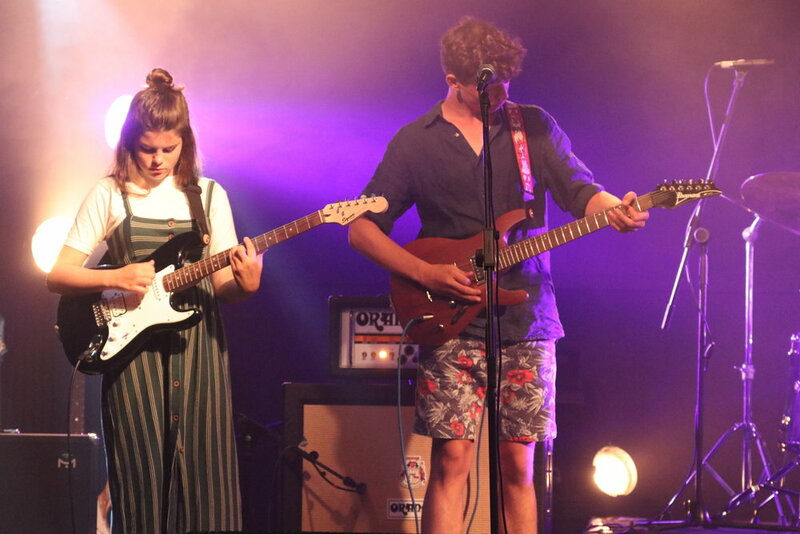 Two concerts were held on Tuesday 17 July to celebrate another year of music-making with Portsmouth Music Hub, providing an opportunity for young musicians to show off their progress to family and friends. At Mayfield School the audience was treated to vocal performances by the Hub's choirs, Little Voices and Starstruck, with songs such as 'We Will Rock You' and a selection of repertoire from the Greatest Showman. 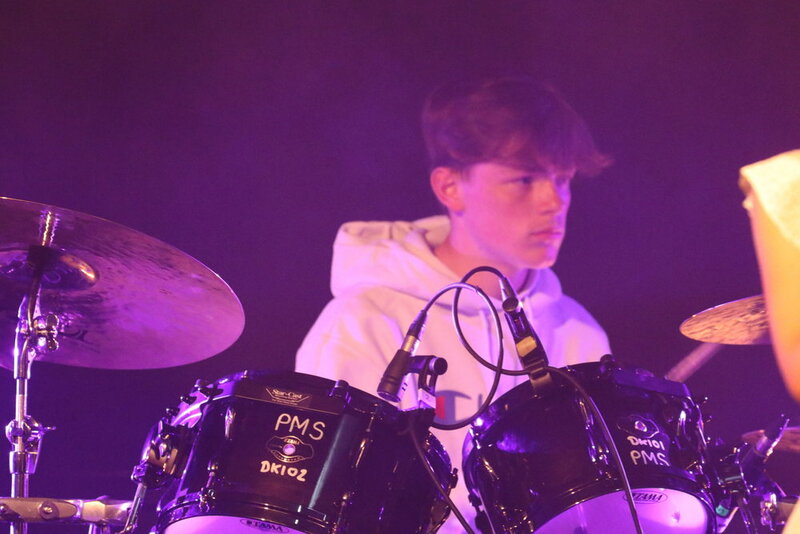 Also performing were the Hub's beginner and junior rock bands, Action Stations and Victory, who played a variety of hits from bands such as Snow Patrol, The Red Hot Chili Peppers and Metallica. At Castle Primary, the audience enjoyed performances from the Hub's instrumental ensembles - Portsmouth Plays, Portsmouth Plays On, and the Channel, Coastal and Ocean Wind Bands. This concert provided an opportunity to present Lucy Williams, a flautist from the Ocean Wind Band, with a special award for the significant contribution she has made to the wind bands over the years. Lucy has recently passed her Grade 8 Flute examination and is leaving the band to go to university. Portsmouth Music Hub's Ensembles will return in September 2018. 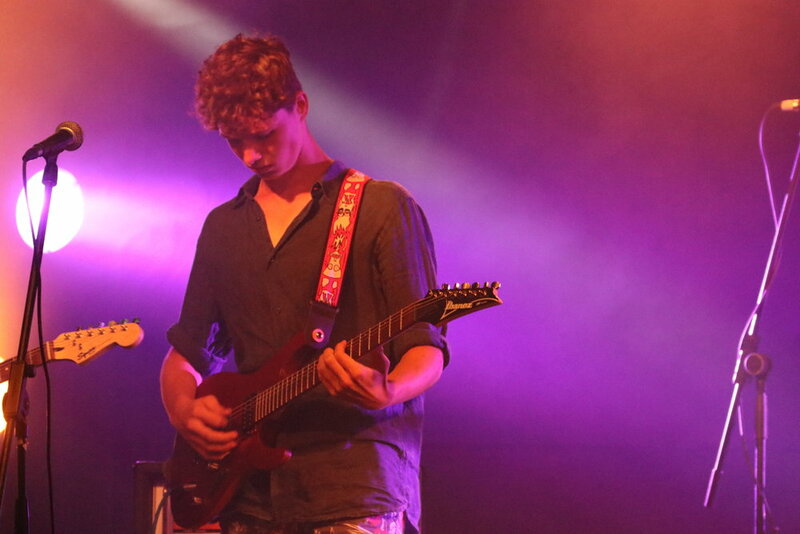 On 5 July the Wedgewood Rooms were filled with the sounds of aspiring young rock bands from Portsmouth schools and colleges. 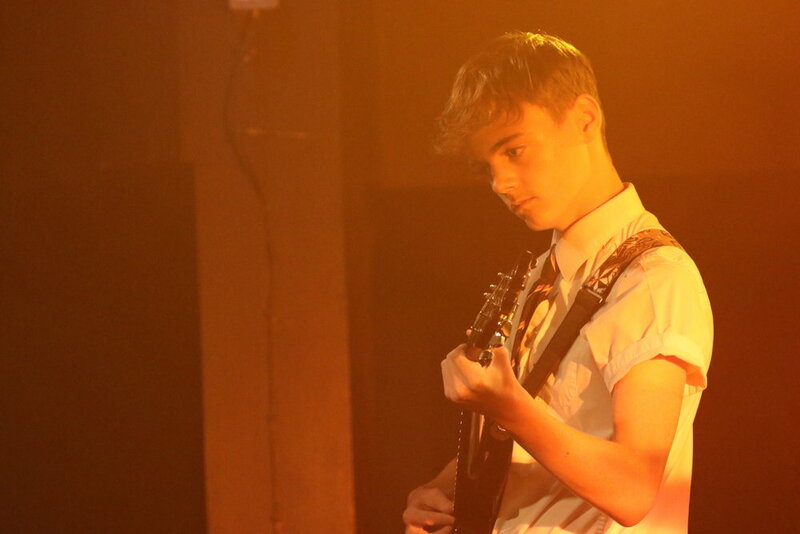 'Rock the Rooms' is an annual gig which gives pupils an opportunity to showcase their performing skills in a professional venue. 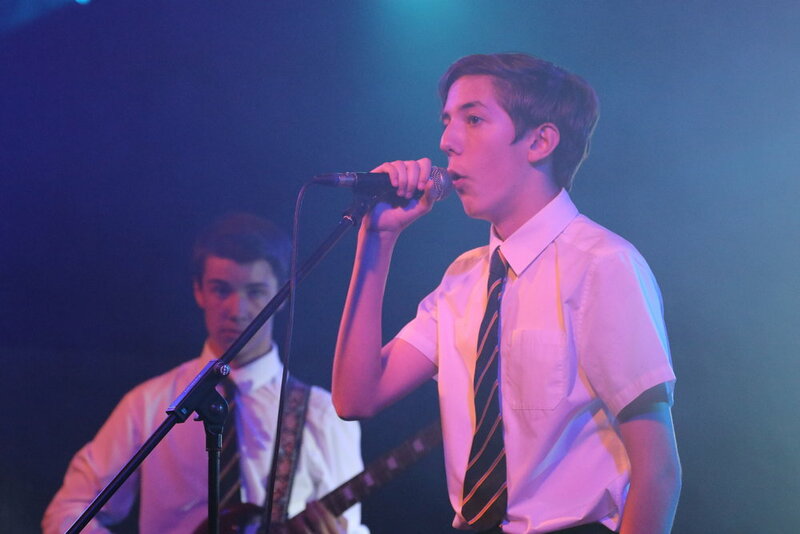 Bands from King Richard School, Portsmouth College and Portsmouth Grammar School took to the stage, as well as Portsmouth Music Hub's senior rock band, The Warriors. There was a fantastic range of music, from 'Hotel California' by The Eagles to 'The Sky is A Neighbourhood' by the Foo Fighters. Some bands displayed their versatility by performing medleys combining multiple songs in creative ways, and others performed original songs written by the band members themselves.